Western Economic Diversification Canada (WD) launching call for proposals for the Western Innovation Initiative which assists SMEs in commercializing new technology-based products, processes and serivces. Please be our guest as we celebrate Alberta's life sciences founders, researchers and entrepreneurs at BioAlberta's signature event of the year! BioAlberta invites you to National Biotechnology Week networking celebrations in Edmonton and Calgary. Alberta companies are invited to participate in a CE CERTIFICATION SEMINAR FOR MEDICAL DEVICES to learn "How to successfully gain access to the EU Market"
Connection 2014 will introduce some of the latest research looking at bioindustrial opportunities in Alberta’s Industrial Heartland. Learn from two of America’s leading developers of “disruptive technologies” in this space. High school students squared off in this year’s Alberta Regional 2014 SBCC, a research competition that encourages students to pursue future studies and careers in biotechnology. Join the webinar to understand how a well designed CAPA system is at the heart of every functional quality system. Please join us in recognizing innovative projects and accomplishments at promising Alberta medical technology and device companies, leading growth within the sector. Calgary's spring 2014 Speaker Series, an opportunity for interactive dialogue on technology commercialization and business incubation. Hear success stories, learn from industry experts and peers, and expand your network. Do you have a business idea but not the training to launch your company? TEC VenturePrize is an annual business plan competition for Alberta based technology related start-up companies. AdvaMed 2014: The MedTech Conference connects medical device and diagnostic companies with venture capitalists, angel investors and business development executives. This is a great opportunity to showcase your innovative, early-stage company. 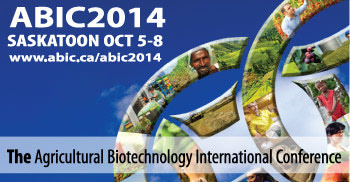 ABIC™ is the premier global meeting that promotes innovation in bioscience to ensure sustainable food, feed, fibre and fuel security as the climate changes. This new national program offers public and private partners the opportunity to work together to develop new cutting-edge technologies, computational tools and devices which will in turn accelerate R&D in the area of personalized medicine. Northlands is excited to provide organizations and individuals the opportunity to showcase their innovative technology. It’s all about innovation! The Government of Alberta – International and Intergovernmental Relations Northeast Asia Branch invites Alberta companies to participate in the 2014 Alberta Health Technology Mission to Japan. Dark Secrets from a Field Service Technician WEBINAR. Learn how to get the most from your lab equipment. Applications being accepted to Canadian Life Sciences in San Francisco (CTA@SFLifeSciences). The Consulate General of Canada in San Francisco is currently accepting applications from Canadian life sciences companies for our CTA@SFLifeSciences program. The GCCIR is organizing a matchmaking trip to Germany for Alberta companies from November 23 to 28, 2014. This initiative brings Albertan and German companies together to work on joint product development and commercialization projects.